Looking for an easy way to crumb your chicken schnitzel? 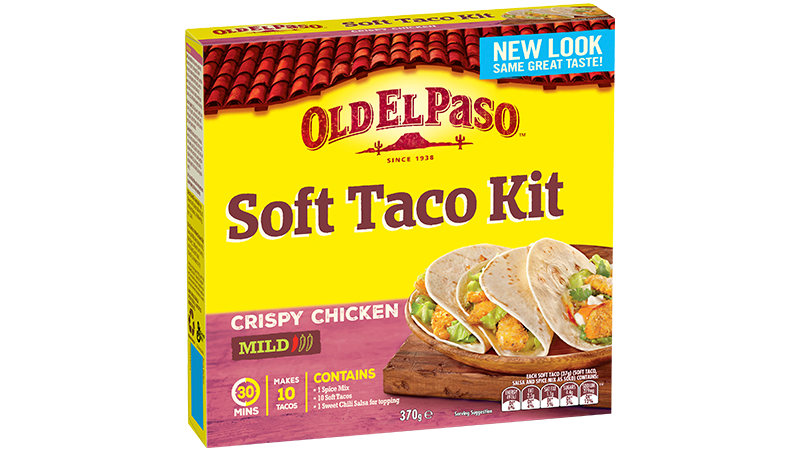 Try Old El Paso™ Stand ‘N Stuff™ Crispy Chicken seasoning and create yummy schnitzel tacos today! Heat oil in a frying pan until hot and cook chicken for 3 minutes each side or until crisp. Thinly slice and place in serving dish. HINT: Add chicken to hot pan and allow to cook for 1 minute before stirring. This ensures the crumb adheres well. OVEN METHOD - Preheat oven 220°C (200°C fan forced). Toss chicken in a tablespoon of olive oil then coat in Crispy Chicken Spice Mix. Bake chicken in a single layer on baking paper-lined oven tray and bake for 15 - 20 minutes or until golden and crisp. Add corn to a dry frying pan and blacken all over. Wrap in plastic wrap and allow to cool for 5 minutes. Slice kernels off cob and combine with cabbage, coriander. Dress with lime juice and extra olive oil. 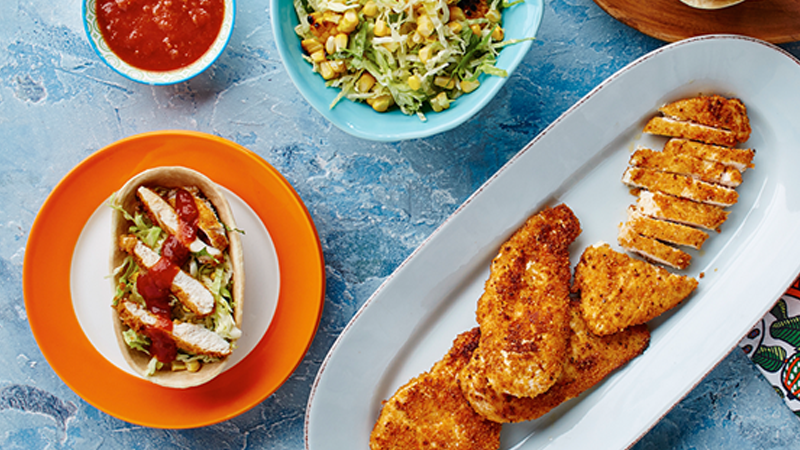 Build your own soft tacos any way you like with Chicken Schnitzel, lettuce, corn slaw, sour cream, Thick & Chunky Salsa and lime wedges.